The long-standing Folgers Motto, "The best part of wakin' up is Folgers in your cup," is burned into the American coffee-drinking psyche by an easily remembered jingle. More importantly, is Folgers coffee good? In this Folgers coffee review we will look at 3 of their popular roasts (Classic, Black Silk, and Colombian) and shed light on their taste, smell and who the ideal drinker may be. Folgers Classic Roast is part of their medium roast line, with Simply Smooth and Brazilian Blend. Classic Roast is available in caffeinated and decaffeinated varieties and ground or in K-cups. This coffee has long been the standard for a hearty, pleasant cup of coffee. When properly measured and brewed, this coffee can be enhanced with sweeteners or creamer to take off any edge the drinker may not enjoy. When brewing coffee, the ratio of water to grounds is critical. Per every six fluid ounces of water, a regular brewing intensity will take one tablespoon of grounds. If you need or prefer stronger coffee, use two tablespoons. The Folgers flavor seal technology, available on all plastic containers, allows coffee drinkers to keep their coffee airtight until they bring it home from the grocery ﻿st﻿ore. For those of us who remember purchasing coffee in bricks, this is a great bonus because the coffee remains loose and easy to scoop while it's protected from air exposure. The first sniff upon opening the container is always a treat. Black Silk coffee offers fans of truly dark roast a real treat thanks to the smoky, slightly bittersweet flavor. Any additives used in this coffee such as creamer or sweetener only enhance the rich and complex odor and taste. If you don't like dark roasts, you won't like this coffee. 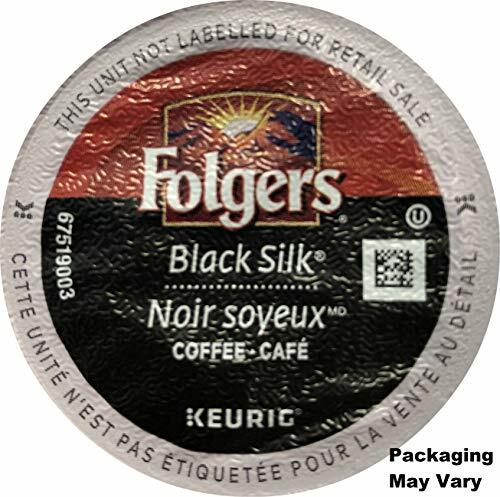 While Black Silk is a much more intense coffee flavor, it's important to remember that Folgers Black Silk caffeine content will be slightly lower than milder roasts. The process of roastin﻿g the beans removes liquid and thus caffeine from the beans. The darker the roast, the lower the caffeine. This difference is generally minimal, however. Dark roast coffees in general are an acquired taste. No Folgers Black Silk review would be complete without an honest assessment of the bite of this coffee. While a strong medium roast coffee can be amended to adjust the flavor for those who prefer a milder taste, this coffee smells, brews and stays dark from first sip to last drop. The grounds themselves are a black and shiny product, and as soon as you open the container the smoky odor is obvious. However, once brewed this coffee is an excellent addition to iced coffee drinks as well as drinking it hot. It offers a great background to any flavors or sweeteners you want to add. Folgers Colombian coffee is a medium dark roast blend of arabica and robusta beans. If your household features a mix of fans of light and dark roast coffee, this may provide you with some common ground! The Colombian roast provides coffee fans a full flavor coffee without the bittersweet, smoky flavor of a dark roast. This coffee has a dark edge to the flavor and odor, but no real bite. The odor of this coffee is particularly popular; if you're hosting friends and want to put them in the mood for dessert, brew a pot of this as you clear away the dinner plates to whet their appetites for the sweet! Most Folgers coffees are a blend of arabica and robusta beans. While arabica beans offer a more complex flavor, robusta beans delivery more caffeine. While you can purchase Folgers coffee containing only arabica beans, unless the label is clearly marked, you should assume you are purchasing a blend. Folgers purchases beans from around the world, often engaging in direct trade so as to work closely with the coffee bean farmer. 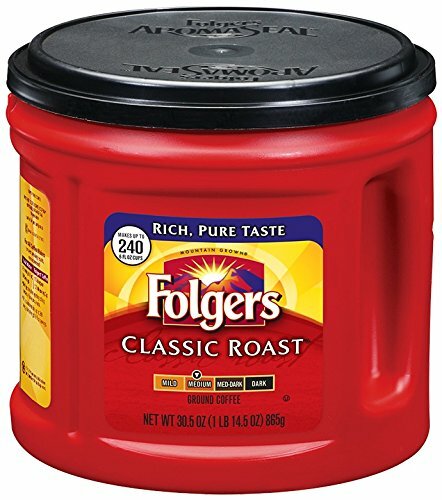 Most Folgers coffee is sold ground, but they do offer a 44 ounce / 1.24 kilos bag of whole beans. This product is not marked arabica or robusta, so the consumer should assume it's a blend. Users of Keurig and other pod coffee pots will appreciate the wide variety of K-cups available from Folgers. Single brew cups of everything from the lush Folgers Black Silk to the smooth Folgers Half Caff are available in single pod format. Coffee singles are available in classic roast, classic decaf and specialty flavors including cappuccino packets of french vanilla and mocha. Folgers Coffee was started by James Folgers in 1854. He began his career in coffee with Pioneer Steam Coffee and Spice Mills at the age of 14; by age 19 he was a full partner in the business. After the Civil War, he bought out his partners and renamed the business JA Folgers & Co. True to the marketing habits of the time, most coffee beans were bought and sold on their visual appeal, not on their taste. Currently, Folgers roasts all their beans in New Orleans. Per Jennifer Larino with New Orleans City Business, Folgers made a substantial investment in their New Orleans plant and moved all their roasting process to this facility. As with any mass-produced product, Folgers suffers the responsibility of trying to please many unique tastes. They've done a good job of providing many coffees in many formats for users with different tastes and coffee needs.